Last edited by JeremyBlackwell; 02-12-2008 at 01:50 AM..
i like white as well. there just something about a white GTR. This is wild to see the interest in white GT-R's versus white Supra/300ZX/Z06/etc! White is one of the most popular colors in terms of new car sales, but for most rare sports cars it ranks in the middle of the field in terms of value. I'll take Dark Metal Grey! ^^^white has always been my favorite color for sports cars. 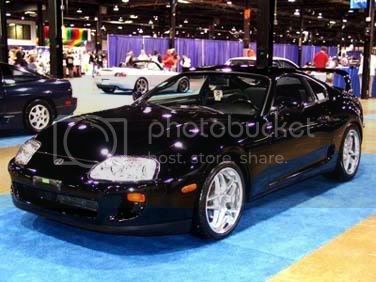 i wish my supra was white, but oh well what can you do. There isn't one there that I really like more than the others. I was hoping they would produce a color that was like Bayside Blue. Does anybody know if the GTR is coming to Canada? I've tried searching this sight and a whole buch of others and found nothing. Definitely Pearl White, which you can see e cut clearly. I like the Titanium gray. It has a great look to it. my vote: UM Silver by far.....but I'm partial to silver cars. BLUE ... which is coming soon to Kuwait .. .. its confirmed as blue . But if I ever get a 2009 or 2010 GTR, it's gonna be Black, then next year or so paint it Bayside Blue all over. Leaving the engine bay Black of course (just like all the TV2 R34s), you know, keep with the theme and all. Black with black wheels is what I would like. 2008-GTR " Coming This Summer"
I've read on another forum that Canada is getting very FEW. The entire country is only expecting 9 in the first batch. Im liking the Gun metallic! USA time: Monday – Friday, 10am to 7pm Saturday by appointment ONLY! That was a hard vote! Most my cars are silver, but I had to vote for the Gun Metallic! World's Quickest GT-R - 10.31@131.75mph - Video on our website. MVP GTR.com - Worldwide Shipping of All Parts! Factory direct with virtually everyone in the Japanese industry: HKS, Greddy, Blitz, Brembo, AEM, Volk, HRE, Sparco, Seibon, and dozens more.